Safari Press was started in 1985, and since that time it has produced nearly two hundred titles, resulting in hundreds of thousands of books in print. But of all of those, the Safari Press limited editions are the most sought after and have generated the greatest excitement. These beautifully designed, handcrafted limited editions fall into five separate categories: CLASSICS IN AFRICAN HUNTING SERIES, the CLASSICS IN BIG-GAME HUNTING SERIES, SPORTING FIREARMS SERIES, HUNTING IN HIGH ALTITUDE SERIES, and the WINGSHOOTING SERIES. Both readers and collectors alike have snapped these limited editions up for the quality of the workmanship as well as the entertaining prose—just look at the out-of-print prices for such books as HUNTING IN TANZANIA by Tony Sanchez and PARKER GUNS by Ed Muderlak. This is a detailed color catalog, printed on elegant coated paper, describing all the Safari Press limited editions. It lists the year published, limitation, illustrations, and bindings. It gives detailed bibliographical notes and lists which are the rarest of all Safari Press editions. 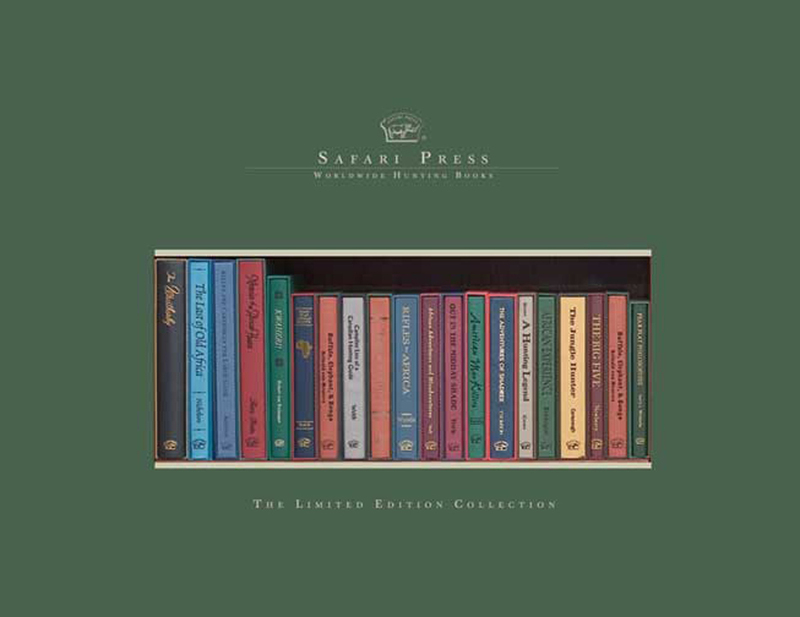 A valuable reference work that will educate and be a source of enjoyment at the same time, this catalog is a must-have for all Safari Press book collectors.